Dia Simms started working for Sean ‘Diddy’ Combs as an assistant in 2005 and over the last 14 years has catapulted her way to the top to President of Combs Enterprises. Dia brings her relentless commitment to excellence and her unparalleled track record as a creative strategist and brand builder to the leadership team of Combs Enterprises. 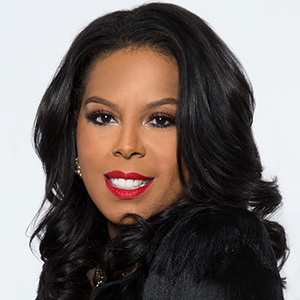 Credited for turning Bad Boy Records into Combs Enterprises, Dia achieved an unprecedented amount of successes overseeing the portfolio of brands under the Combs empire. Along with building Combs’ internal agency, Blue Flame, Dia pioneered the transformation of CÎROC vodka, taking it from an 80k brand to a 2 million case brand through the development of unique guerilla marketing programs such as the CÎROC military program. Dia was listed as a powerful executive on Billboard’s annual Women in Music list in both 2017 and 2018 as well as the Ebony Power 100 list. In April of 2018 she was an honoree of the Matrix Awards from NYWIC, as well as named to the 2018 Ad Age Women to Watch list and Variety’s Power of Women New York Impact List. Dia is a highly-respected philanthropic leader who is on the board of THREAD Organization that provides underprivileged high-school students resources to help foster their academic advancement and personal growth. She balances her work and personal life by commuting between Combs Enterprises in New York City and Los Angeles to her home in Maryland where she resides with her husband, daughter and dog.